It gives me great pleasure to introduce you to Celeste through this interview. 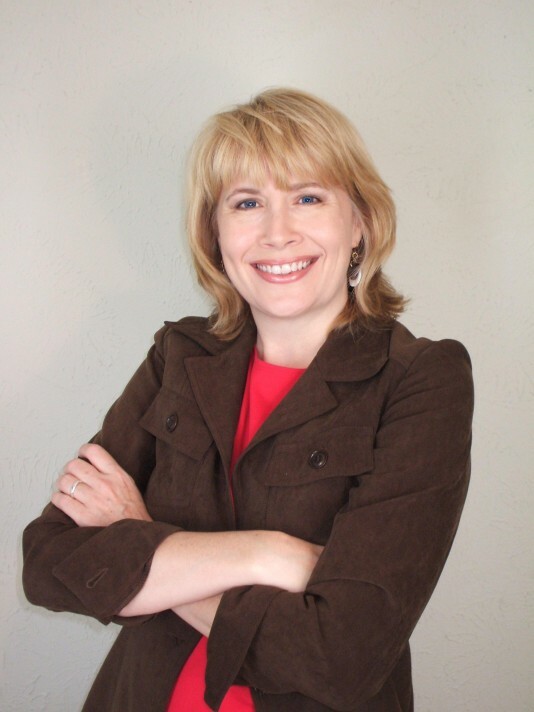 Celeste Hackett is both a very talented Hypnotist and successful professional trainer of new Hypnotists. Many established and "developing" Hypnotists already know her, if not in person, through the many Hypnosis training videos that she co-hosted with Cal Banyan, another well known figure in the Hypnosis world. She is also a regular contributor to the NGH's Hypnosis Journal. I have known Celeste for many years now through our regular discussions on Hypnosis matters so can personally attest to both her hypnotic talents and the special warmth and care she brings to clients through her practice. Read on and find out what drew this talented lady into a Hypnosis career and some of her interesting insights and experiences with Hypnosis. CH: Hi, Everybody and thank you Steve for the opportunity to share some hypno-ideas and thoughts with your readers. I grew up in central Louisiana as a Cajun-American who never liked Crawfish. I was practically banned from the whole pelican state for that (LOL!). My family of origin is a big Catholic family and I was the 4th of 6 kids. Now I’m a Texan. I live in Plano, Texas, a suburb of Dallas, where I have my hypnosis practice and state licensed career school. I live with my sweet hubby, Christopher, our three lively rescue dogs and my disabled niece whom we help to look after. As to my website, it’s www.FamilyFirstHypnosis.com. It supports my business where I see my clients for all sorts of issues. Basically clients come to see me when they want to STOP FEELING something they don’t want to feel (such as angry, sad or afraid) or to START FEELING something they do want to feel, but find it hard to feel (like peaceful, confident or happier). They also see me to help them STOP DOING something they don’t want to be doing (like smoking, eating too much, nail biting) or START DOING something they want to do, but find it hard to do (like speak in front of groups with confidence, be nicer, exercise more). For more details, I’d love it if you would have a look around the site. I also have a state licensed career school where I teach hypnosis certification classes. That website is www.DallasHypnosisCareerTraining.com. We pride ourselves in graduating well- trained hypnotists and follow up with unsurpassed support after the training. Please consider our wonderful program if you want a new career helping others. ask-the-hypnotist.com: Thank you Celeste. Now tell us if you will, how long have you been a hypnotist or hypnotherapist? CH: I began hypnotizing people in 2002, after a career in radio broadcasting ended, so about 9 years now. ask-the-hypnotist.com: And what was it that first got you interested in hypnosis as a career? CH: Well, usually I have a set story when I’m asked that question, but I’m going to reveal some things to your readers that I never have before. A love of how words influence the mind began when I was about 19 years old. I became depressed when I left home to move to New Orleans with a boyfriend. I had left my family, couldn’t get interested in going to college and really didn’t know what to do with myself. Before I had left my hometown, I had been a radio announcer for about a year (something I got lucky and fell into in high school). I thought I wanted to get another radio job, but not only did I not know how to go about getting another broadcasting job, a huge lack of confidence, like a gigantic immovable wall surrounded me and made growing up and becoming somebody a seeming impossible pipe dream. So, one day, in a dark depression, I found myself in a bookstore in the self-help section. I was so young and from such a small town, I had never even seen a book store, much less a self-help section. I was amazed at all the stuff there. You mean people have problems like mine and they can fix them by reading a book, I wondered? Once I realized I wasn’t in Kansas anymore, a title jumped out to me, You Can if You Think You Can, by Norman Vincent Peale. I read a few pages and felt a huge stirring in my heart and bought it immediately. It was the first book I ever bought. That was the very early beginnings. That book hypnotized me! I gobbled up all of Peale’s other stuff too along with some other motivational and positive thinking pioneers at the time, Once I learned about positive thinking and that you could motivate and change yourself and others with language, my life changed. I was so proud when I finally landed a radio job in the big city of New Orleans using my new skills! After that, I worked my way up in the world of broadcasting eventually doing shows nation-wide via satellite and in major markets. Along the way, I learned more about influencing myself and others with words and I wondered what it would be like to help people with this new knowledge in some way and make money at it, but I was too into radio broadcasting to do any more than wonder. Finally, 24 years later, I put it all together. I lost my last radio job about 2001. I got fired. Since radio was changing and I didn’t really like it all that much anymore, I decided to try to attract something new using suggestions to my subconscious. I wrote on an index card that I would have a new career that would truly help people, that I could earn a living at, that I would know it instantly when I saw it and that it wouldn’t take a whole lot of time to learn. I still didn’t want to go to college! About a month later, I saw an ad for hypnosis training, and though I really didn’t know much about hypnosis, just as my affirmations said I KNEW it was what I was looking for! I enrolled right away. That was about 9 and ½ years ago. ask-the-hypnotist.com: What benefits have you personally received from being a hypnotist? CH: Only about a million of them. I’m happy to start with. But it’s a whole deeper sense of happy than I’ve ever known before. It took me awhile, in fact, to put a word to the feeling, because I just didn’t recognize it. I could describe it. I’d think its round, warm and wonderful! Then it hit me one day, by God, I think I’m actually fulfilled. What a great feeling! Interestingly, I am not the only hypnotist who feels this way. Almost all of us, who do this full time, absolutely feel this way! Other benefits of being a hypnotist? Let’s see, I can often take away physical pain from myself when I need or want to. For instance, one day I burned my finger and it kept burning. It took me an hour of having to hold it in ice water before I remembered that I’m a hypnotist. So, I just closed my eyes and changed the feeling from burning to cooling instantly. It’s not magic. It’s just the power of the mind plus a little training. Anybody can learn to do it. Also, if I am emotional, I know how to resolve the feeling. I don’t’ have to burn in anger, mope in depression or shake in fear anymore at least not for very long. Knowing there are things I can do gives me a feeling of comfort that runs very deep. Imagine not being at the mercy of your emotions. I’ve learned and I teach that there are very rational reasons for negative emotions and specific things you can do to change them. This kind of new understanding makes my clients, students and myself emotionally intelligent and gives us an almost unfair advantage over others, so I am also more at ease, confident and appropriate in my interactions. Too, I very much enjoy that I can help my friends and family overcome painful problems. For example, I’ve helped a family member (with her psychiatrist’s support) get off of 3 out of 4 psychiatric medicines. The 4th one, I’m confident she’ll get off of too. These meds were given for anger management and anxiety. You don’t need them once the feelings are gone. Her getting off of these meds just delights the heck out of me! In addition, early in my career I stopped chronic sinus infections using an arm release process. Also, I had a problem with my female cycle all of my life, and straightened that out in an amazing way using an advanced hypnotic technique. I hardly get colds any more because my immune function is so much better! I also get many of the same benefits that other business owners report. For instance, I like making my own hours, scheduling weekends off, taking long lunches, freedom from corporate structure, and just being my own boss. ask-the-hypnotist.com: What issues do your clients typically come to you for help with Celeste? Do you specialize in helping people with certain issues? CH: I help people when everything else has failed. People who are just every day folks with every day problems. It’s not uncommon for me to have an amazingly wide-range of issues on the books because most hypnotists who are using advanced methods are generalists. Most of the time one good advanced technique works with a multitude of problems with just a few changes. So, for instance, over the past month some of the concerns were: TMJ, headache, weight loss, stop smoking, dizziness, inability to sleep well, unrelenting grief, general fearfulness, public speaking, fear of flying, Anger at a parent, Fear of vomiting, nail biting, fear of leaving a job for a better one, testing fears, putting oneself last, attracting bad dating partners, procrastination, blushing and bedwetting. ask-the-hypnotist.com: Celeste, I notice that you have testimonials on your site from many satisfied clients. Is there a particular success story that you could describe to our readers. CH: Here’s a recent one. A very pretty lady came to my office, sat down and promptly began to cry uncontrollably. Between sobs she confessed that she couldn’t stop eating candy. She just had a constant craving for sugar. She ate jelly beans, cooking sprinkles, candy bars, and taffy. She had candy in her purse, pocket, in the car, at work in her desk and all over the house. If she wasn’t’ eating candy then she was thinking of eating candy. She would even dream about candy at night and the first thing she ate in the morning, when she got up, with her coffee was a giant snickers bar. I mean this lady was crazy about candy and in a lot of pain over it. The great thing about hypnosis is we, as hypnotists, really don’t have to know a whole lot at all about people’s problems because their subconscious minds already have the information needed for them to get better. So, once in hypnosis I had my client remember a recent time when she was eating sugar uncontrollably. “I’m on the couch. No one is home,” she said. “I just keep eating candy from the candy bowl.” “ What are you thinking?” I ask her? She puts her hands to her face, turns red and cries, “How sad I am!” “How come you’re so sad?” I ask gently. “Gidgette isn’t here anymore!” “Can you tell me about Gidgette?” “She was my neighbor’s 10 year old daughter. She used to come over in the afternoon after school. We got really close then she was killed in an auto accident!” Gidgette had been especially important to her because my client couldn’t have children. Emotions cause a lot of problems when they go unresolved and this one, sadness, was contributing powerfully, to her sugar problem. She’d get this overwhelming grief feeling and then she’d eat sugar as a way to feel better. The sugar was just a way of distracting from the real problem, unresolved and intense sadness. After giving her suggestions like these, I had her imagine herself in the future at times when she used to eat sugar, like in the morning with coffee and tell me how well she is doing. She says I’ve thrown away the snickers bars and I’m just having coffee. I feel great. This process of imagining a new future helps increase the power of the suggestions and also helps the hypnotist know if the client will be positively affected by the work done. At my office we do deep and thorough work. Often times, though clients make great strides in one session, there is more to the problem. We want to stack the deck for permanent change, by doing a bit more poking around over about 4-6 sessions, so I make sure my cliens commit to themselves to about that many visits with me. In subsequent sessions the inner mind did indeed take my client to other events in her life where she had losses. Scenes the mind wanted help with. The losses of her beloved dog and of her father’s attention when her younger sister was born were two such times the mind pointed to. Another time, the earliest event and what we would call the beginning of the problem, was a common problem for many of our clients, her parents arguing. Not only did this signify the loss of security to her, but she also felt, as they were yelling at each other, very afraid. In all of these scenes the emotion of sadness was present, but I was not surprised to find fear and anger significant enough to keep the problem alive as well. After uncovering these emotions, I continued, over the next 3 visits, in our normal fashion using methodical practices to help her to feel better. Each week she came in announcing that she had been eating less sugar. 30 days after our last session together I called her to follow up. I was pleased to find that she had given up sugar entirely because she said that it tasted too sweet for her and that she had happily lost 8 pounds. ask-the-hypnotist.com: Is there something different or special in your approach to hypnotism work that you would like to tell us about? For example, I notice that you seem to place a special emphasis on the role of emotions in your work. CH: Ultimately, we are all looking to feel good or to be happy, so yes emotions are most important. Emotions are the cause of just about all the problems we see, be it behaviors, habits, poor choices or erroneous thinking. So, I do a methodical approach that allows me to work with what is hidden from the untrained eye, and with what is causing the issues- subconsciously held and unresolved negative emotions. The subconscious feelings are the ones that give us problems most, so we must have a reliable way to locate them and responsibly help clients to change them. Then, the thinking automatically changes and the problem behaviors end. Sometimes, it’s so effective, it seems like magic. ask-the-hypnotist.com: Do you find any particular phase of your hypnosis or hypnotherapy work to be of special interest to you? If so, why, e.g. one one one sessions, training hypnotists, writing scripts, producing recordings etc. CH: It goes in cycles. Each part of the work at one time or another was my favorite part. Right now, I am most enjoying teaching students and working with medical problems with a referral from a physician, of course. My sister is a Registered Nurse and she and I are working on a new website called Family Medical Hypnosis dot com. We hope to have that up and running in the near future. ask-the-hypnotist.com: What is the most frequent misunderstanding about hypnosis that you encounter with clients or the public, Celeste? CH: Not to even think of hypnosis as an option at all. The other one is not to think that the mind and emotions could be a part of the problem or the solution. ask-the-hypnotist.com: As we both know, Hypnosis as a healing and helping modality has existed for hundreds of years now. However, it is more widely known and more accepted in some areas more than others. How would you rate the public acceptance of hypnosis/hypnotherapy around Dallas? CH: People here in Dallas are generally open-minded, well-educated and very interested once they hear about my profession. I’d give Dallas 8 stars out of 10 if not more. We have nice people here who are willing to think out of the box for solutions and are very willing to learn new things. ask-the-hypnotist.com: Do you have a favorite book Celeste on hypnosis that you would recommend to others? CH: Dave Elman’s Hypnotherapy if I had to pick just one. ask-the-hypnotist.com: Celeste, based on your experience, what do you see as the future of hypnotism in the US? CH: Over our lifetime, I expect to see hypnosis and other ways to develop positive conditions in the mind, body and emotions to sky-rocket. I think the general public is more ready than ever to look within for true and lasting answers and that readiness is growing. There are two things that ready people for real change, pain and suffering. More and more we are all feeling the discomforts in our bodies over tragic happenings in our families and our societies. With the population growing negative emotions will intensify. As old familiar practices will be found to be unreliable pressuring the ever adaptable human will look to new means to evolve. Did you see the recent scientific study showing that 70% of people on anti-depressants get no benefit from them what-so-ever? We all know instinctively that the answers are inside. We just haven’t yet been ready to take a look. The readiness will come from the pain and the pain is increasing. 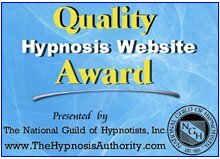 ask-the-hypnotist.com: And as a trainer of future skilled Hypnotists, what advice would you give to someone who is interested in developing a new career as a hypnotist in America? CH: Find a school that teaches real hypnosis that really works. Too may schools are only teaching the basics and they aren’t doing a very good job at even that. Keep in mind, to really help people you must learn advanced techniques like age regression, forgiveness techniques, direct suggestion, powerful induction methods, how to work appropriately with emotion, how to effectively build confidence in your client from first contact, how to set up your office, how to promote yourself, and make sure your school offers on-going support after the class is over. In addition, make sure you school is state certified and that your teacher is has a current practice. ask-the-hypnotist.com:Thank you Celeste. Can you tell our readers who are interested in learning more about your hypnosis work, which is the best way to get in touch with you? CH: The best way to reach me by phone is (972)-673-0110. Also we can do very effective sessions via Skype so if you are not in Dallas and you want to do sessions feel free to call for more information. ask-the-hypnotist.com: Thank you Celeste, a pleasure talking with you as always, and of course you can contact Celeste with a message directly in the form below. Feel free to ask her about the online hypnosis sessions that she now conducts with clients. Return from Texas Hypnotist Celeste Hackett interview to Hypnosis Interview Main Page here. Return from Texas Hypnotist Celeste Hackett interview to Hypnosis City Directory page here.